Metal Detectors for Kids. 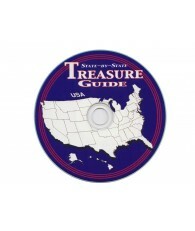 Do you have a child in your family that’s just dying to go treasure hunting? 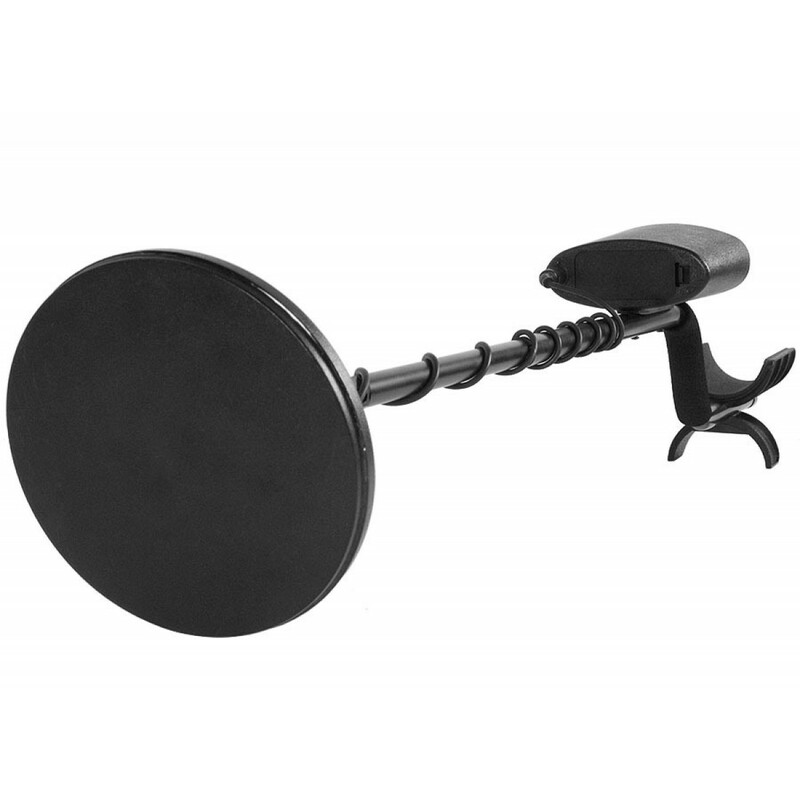 Do you wish there were a metal detector that could keep the kids busy without losing their interest? 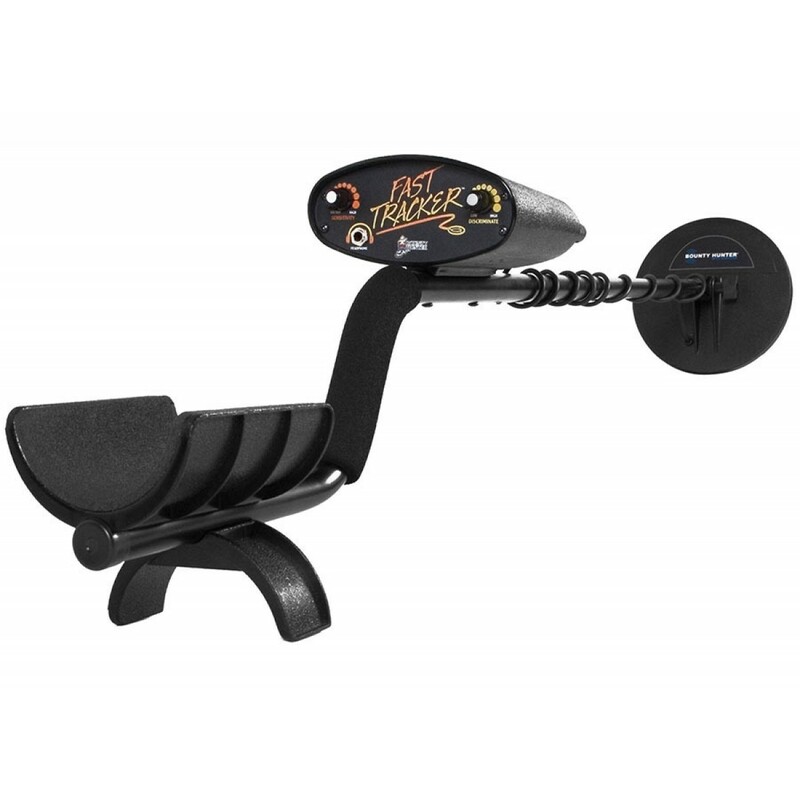 The Bounty Hunter Fast Tracker, a favorite for children 10 and under, is just the ticket for young metal detectorists around the world! Do you have a child in your family that's just dying to go treasure hunting? Do you wish there were a metal detector that could keep the kids busy without losing their interest? 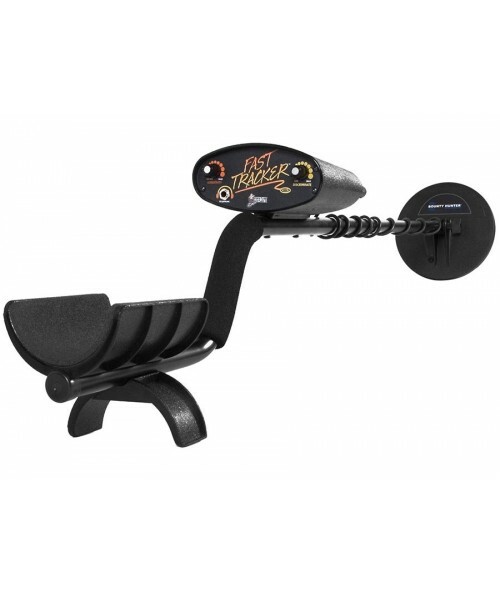 The Bounty Hunter Fast Tracker is just the ticket for young metal detectorists around the world! With only two adjustable settings – Sensitivity and Discrimination – the Fast Tracker is literally a turn-on-and-go machine! The Fast Tracker is a user-friendly instrument and when you see your kids find their first quarter you'll know it was worth every penny! Weighing only 3 pounds, the Fast Tracker is lightweight and streamlined. Confusion will be the furthest thing from your mind with this single frequency machine because the most difficult settings are all eliminated! Learning numbers and signals for target identification is also not necessary since the Fast Tracker only identifies targets with a two different audio tones! The low tone is for nickels, pull tabs and most trash items. The high tone is for coins and silver! A tone will also sound when the battery is low and all this can come from either a built-in speaker or headphones! The only controls you have to worry about are an On/Off Switch, Sensitivity control and Discrimination Control! The only two modes of operation include "Motion All Metal" and "Dual Tone Discrimination." Kids will be recovering relics, coins, jewelry and interesting artifacts from the front yard in NO time with the Fast Tracker! It doesn't get any easier than this! Bounty Hunter believes that newcomers to the exciting world of treasure-hunting shouldn't be shortchanged when it comes to features or quality. That's why there's the Fast Tracker. It is so affordable, and so powerful, it can literally pay for itself in just a few outings! And while the price can't be beat, neither can the features: Fast Tracker comes complete with a big 7" Bounty D-Tech search coil, teamed up with advanced circuitry for power and control. 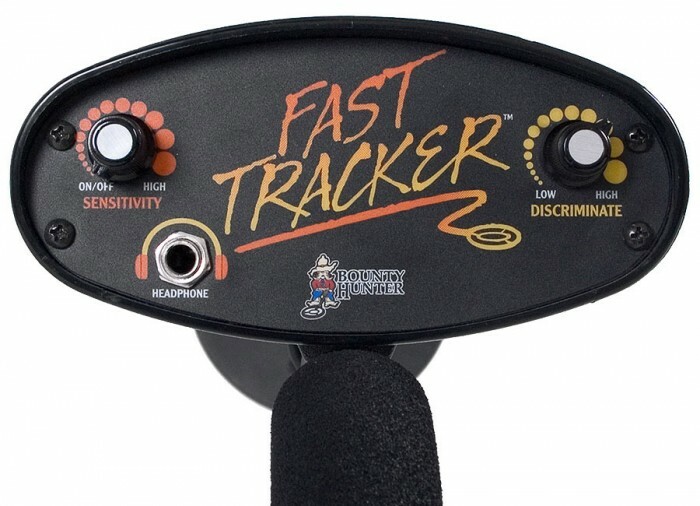 Fast Tracker offers dual -tone audio discrimination, motion all-metals mode, automatic ground balance, audible low-battery alert, built-in speaker, and headphone jack. It combines lightweight, S-rod comfort grip handle with stand and adjustable coil-angle for hours of productive searching. And its backed by a solid five-year limited warranty from Bounty Hunter. The Fast Tracker is a user-friendly instrument, offering tremendous value for the money, while delivering effective performance over a wide range of conditions and applications. 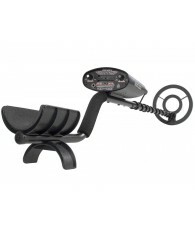 Streamlined in appearance, with only two operating controls, the Fast Tracker has eliminated the most difficult aspect of metal detector operation: Ground Balancing. 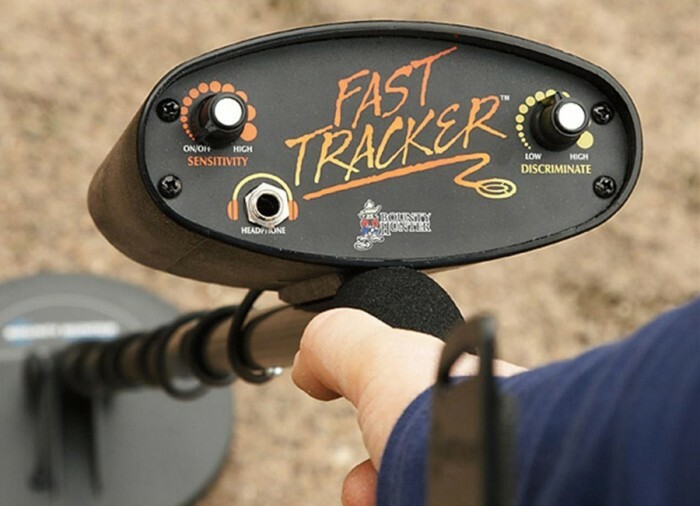 With built-in Automatic Ground Trac, the Fast Tracker balances for mineralization while you detect. The Fast Tracker will detect in extreme ground conditions from salt wet beaches to highly mineralized inland sites with no operator adjustments to the circuitry and with no loss of sensitivity. 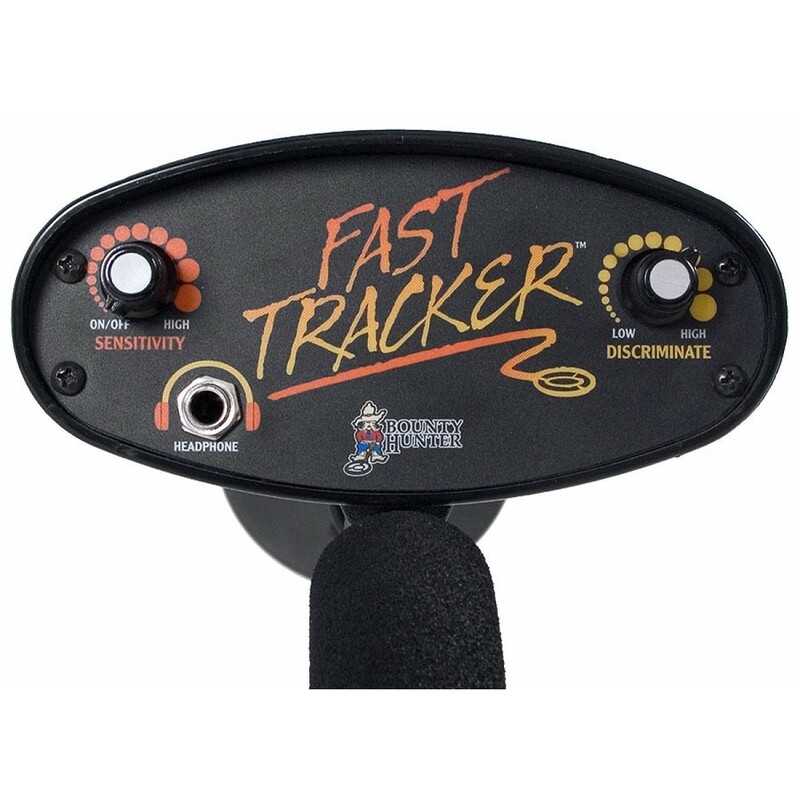 The Fast Tracker has offers 2-tone target identification for fun, easy discriminate capability. 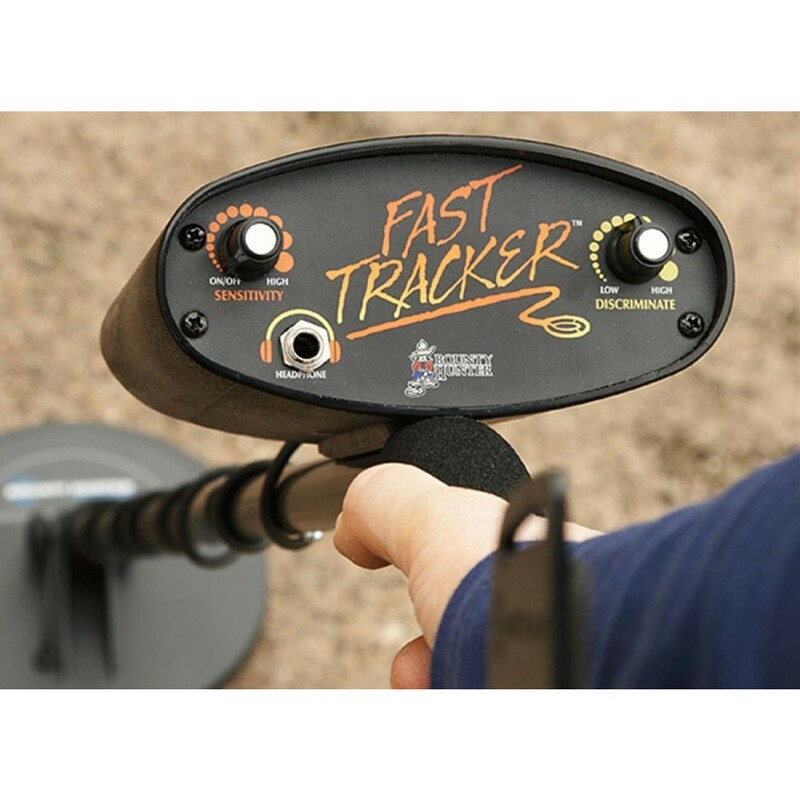 The Fast Tracker is a professional-level metal detector that is easy to operate, highly rugged, comfortable, lightweight, and extremely efficient in the field. The Dual Discriminator System with Ground Trac offers options for finding more valuables and less trash. 'Tone Discrimination' gives Low Tone for nickels, tabs and most trash items, High Tone for most coins and silver. Can be adjusted so tabs give an in-between broken sound, making them easy to identify, thus allowing for finding of nickels and gold rings along with other coins. Because of the audio discrimination, it's easy to determine treasure from trash and other unwanted items. The Fast Tracker is capable of finding large caches and relics at substantial depths...it's designed to effectively recover treasures, coins, jewelry, and many interesting artifacts. 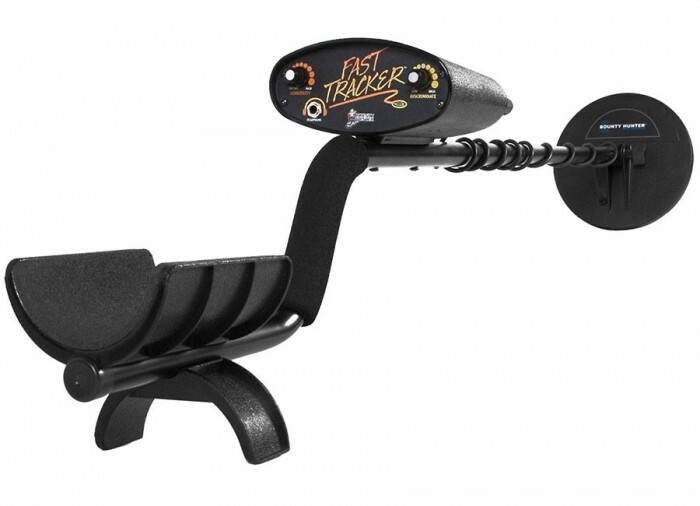 Because the Fast Tracker is easy to operate, you'll find the hobby of treasure hunting fun and rewarding. After turning the On/Off Sensitivity Control to the "On" position, and placing the Discriminate control at the "Low" position, the unit will respond to any type of metal as long as the coil is in motion. Motion is also required in the other modes of operation. The Sensitivity is at its lowest setting when first turning the unit on. To increase Sensitivity, simply turn the control clockwise towards the "High" indication. To operate in the Tone Discriminate Mode, turn the Discriminate Control clockwise from the "Low" position. The Discriminate Control will increase the range of discrimination as it's turned clockwise. While operating in Tone Discriminate, the Discriminate Control can be adjusted to create two different tones, both low and high, to classify nickel/gold items from silver/copper and brass along with a possible broken tone for pull-tabs. The Fast Tracker comes standard with the 7.25" Close-Face Coil System. 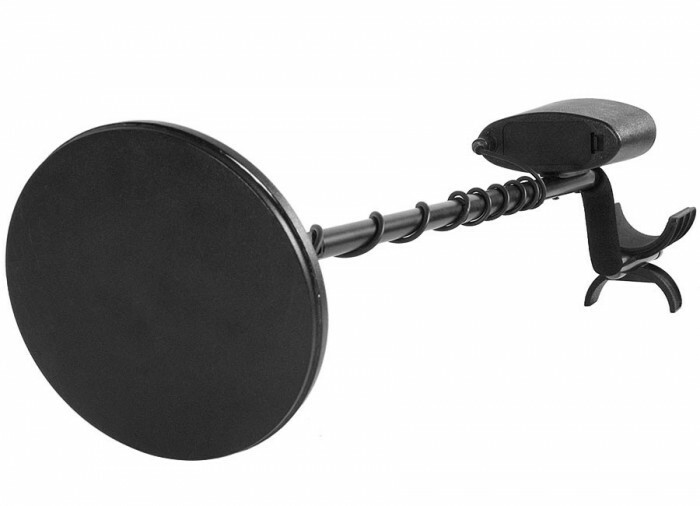 A versatile and deep-seeking coil that can be used effectively for all types of detecting. This coil may be submersed in water without any affect on the operation of the detector allowing for gold prospecting and shallow water hunting. The Fast Tracker comes standard with an S-Rod Handle System, an anodized black aluminum upper and lower stem that telescopically adjusts for most any height. 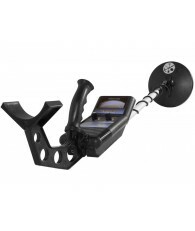 Includes an S-Rod Stand for the convenience of placing the unit on the ground for hands-free digging. The forearm cup increases comfort while allowing for more control when swinging the search coil. Stereo-type headphones can be used with the Quarter-Inch Jack conveniently located on the control panel. Use of headphones increases battery life and capability to hear faint indistinct tones. Automatic Ground Trac feature allows operation in virtually any mineralization of ground with full power. Use it effectively on the beach or for gold prospecting. In the Motion All Metal Mode, the Fast Tracker will detect gold nuggets thru black sand! Finds relics in all types of soil, deeply and with ease. 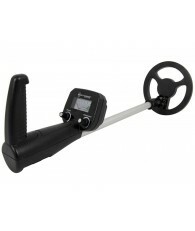 Additionally, the Fast Tracker has the ability to find any type of metal for applications such as locating water pipes, property markers, and machinery parts. 2-Tone Audio Discrimination categorizes metal targets under 3 audio output possibilities. I have always wanted a metal detector and when my parents asked me what I wanted for Christmas this past year I immediately said "a metal detector"! I love watching movies or shows about lost treasure and am sure in the years to come I will find lots of amazing treasures with my Bounty Hunter, Faster Tracker. I haven't had my metal detector very long but I have used it in my backyard and found lots of nails and scraps of metal (which wasn't very exciting!) My grandparents have a cottage on the beach and I plan to use it this summer when I am visiting them. There used to be an Indian settlement not far from their cottage and with any luck I will find some really interesting stuff there, maybe some relics or some jewelry or coins. I think I am going to have a hard time getting it back from my grandfather because when he sees it, he is going to want to keep it! 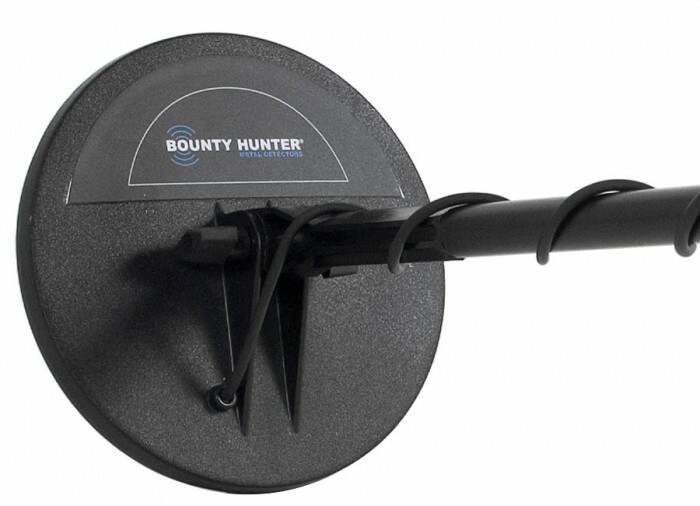 I find the Bounty Hunter, Faster Tracker very easy to use and comfortable to handle. It is easy to adjust it to fit a tall person or a shorter person. My mom even used it a few times and thought it was awesome! It is easy to tune and easy to use. I especially like the earphones as it makes it easier to tune out other noises and lets me only hear what I want - hidden treasure! I would highly recommend the Bounty Hunter, Faster Tracker to anyone! I quit smoking and wanted a fun way to help me lose weight. I finally convinced my wife to get me a metal detector for my birthday. When she told me she ordered a Bounty Hunter Faster Tracker over the internet, I could not wait for it to come in. I started to do research on the best areas to go. Once I got the metal detector, the very next day I hit the beach. For 3 hours I walked up and down the beach, I found my first penny, and man was I excited, and if bottle caps were quarters I would have had an easy 1000 dollars. but I did not care I was having a blast. I used a cat litter scoop and an old garden shovel. This was not good enough. 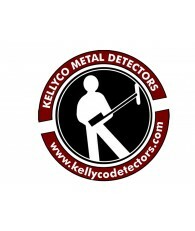 the next day I got on eBay and ordered from Kellyco Metal Detectors Superstore a brand new stainless steel scoop and shovel, probe and a holster to hold them. As soon as these came in I hit the beach, talking my wife into coming with me. We spent 4 hours walking and laughing. We had more fun finding a lot of junk. Have I lost weight? I have no idea, but I am having so much fun. It does not matter if I find money, bottle caps, pull tabs or gold (I wish). I am out there to have fun and spend some quality time with my wife and use my Bounty Hunter Faster Tracker. 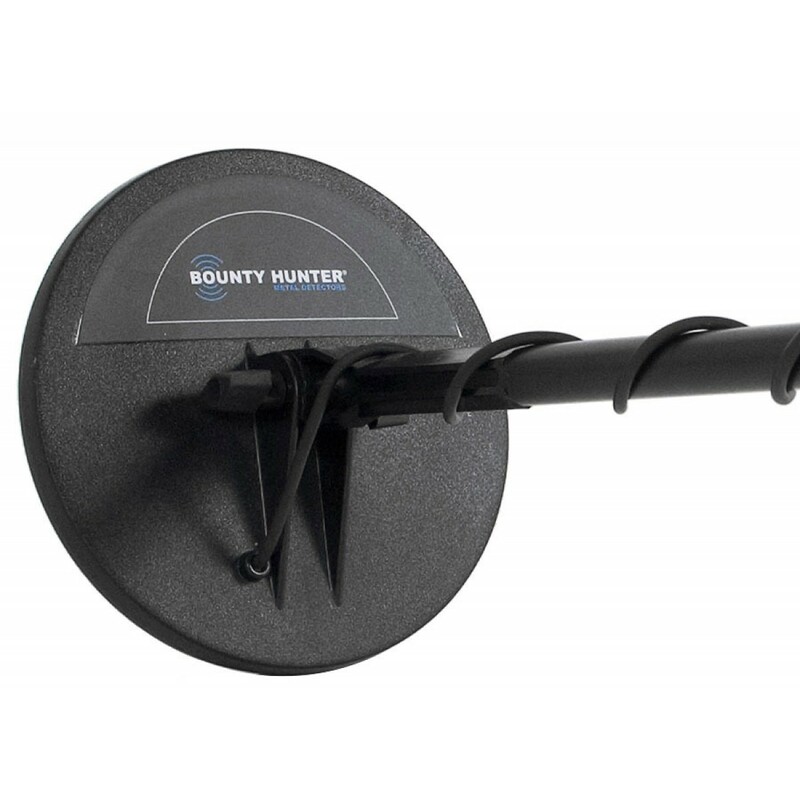 I have recommended the Bounty Hunter Faster Tracker to a fellow co-worker, who has shown interest in metal detecting. 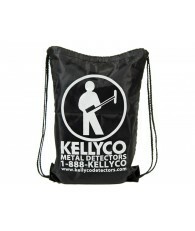 I also recommended Kellyco to him for his extras that he will need. 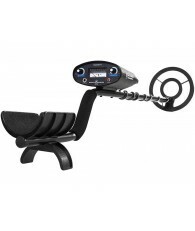 I recently found a Fast Tracker metal detector at a garage sale for a great price. Little did I know I would make my money back that day. As I left the garage sale, I decided to walk through the park on my way home. There was a couple arguing in the park and from a distance I saw the lady pull something off her hand / finger and throw it away. She ran away crying as he chased after her I turned on the metal detector and to my surprise the batteries were still good. I was trying to envision the direction she pitched the item. I proceeded to scan the area with the metal detector. Beep beep, the detector went off. I thought I found the item. To my surprise, it was just a dime sitting on top of a dog turd. I kept searching and (eureka) I found it. It was a beautiful 1 karat diamond engagement ring. I ran into this girl a few weeks later at the same park and told her the story. We have been together ever since and are engaged to be married. The dime I found on the dog turd is now my good luck piece and the ring I gave her was the one she threw away that day at the park.